How do we do politics in the networked age? asks Bill Thompson. 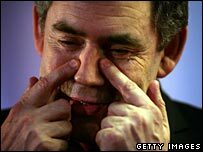 Will Gordon Brown change the face of politics? The imminent arrival of Gordon Brown as leader of the Labour Party and Prime Minister by acclamation seems to have prompted an outpouring of speculation on the future of the British political system. Elsewhere, political blogs like those from the New Statesman, Spectator and Daily Telegraph jostle for position with the more independent efforts of Iain Dale and Paul Linford. And now the Centre for Policy Studies has leapt into the fray with Open Politics, the first in a series of pamphlets published in association with Direct Democracy, a group of Tory politicians and activists who want to bring power to the people under the banner of 'localism'. Open Politics makes interesting reading, even if the principle of localism which they claim as their own is rather close to the well-known European Union idea of 'subsidiarity', dressed up so as not to frighten the eurosceptics in their party. One of the key failures it identifies is that 'the Government retains its monopoly of policy', and it makes a strong case for some form of direct democracy so that anyone with sufficient support could have a direct influence on the legislature instead of having to persuade the government of their case. The suggestion is that this could be done through a petition which, if it gained enough support, would be included in the Queen's Speech as a 'People's Bill' to be debated and voted on in Parliament. It's an interesting idea, not least because the success of the Downing Street e-Petitions site has already shown that there is a massive appetite for this form of electronic engagement. There are more than 7,000 petitions and three million people have signed at least one of them. We can surely now begin to think about the way we organise society and the ways in which political power is exercised on the assumption that the network is here and can be used. Is e-democracy now a reality? 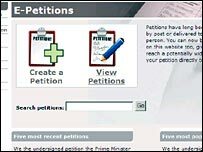 The petitions mechanism seems to be robust and workable, and because it was written by mySociety, the charitable project that builds socially useful software, it could easily be copied and used by other groups including MPs themselves. 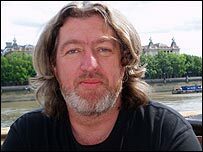 In fact there would be nothing to stop a group of activists creating a 'People's Bill' website, gathering ideas and support and then trying to persuade a willing MP to introduce their most popular plan as a Private Member's Bill in Parliament in a practical demonstration of how the mechanism would work. The specific policies in the pamphlet are less important than the fact that it starts from an assumption that the Internet is just there, part of the environment within which politics takes place. It discusses the challenges the network creates for current political practice but sees these as an opportunity: if YouTube is out there, why not use it to give candidates a way to advertise themselves for selection? If Web fundraising works, why not use it to solve the party fundraising problem? The Tories have been thinking about networked politics for a while now. Back in March shadow chancellor George Osborne gave an intriguing speech in which he called for 'open source politics' and pointed to the growing importance of social network sites in political organising. That importance continues to grow, for example in the Protect Freedom of Information group on FaceBook, which has provided a focus for discussion and action to ensure that MPs do not exempt themselves from scrutiny under the cover of a mistaken belief that their constituency correspondence could be published. There are many other politically-oriented groups and networks on FaceBook and elsewhere. In his speech Osborne expressed a belief in the power of technology to "help transform society for the better by giving individuals more freedom, more choice and ultimately more power". But he also accepted that "technological change isn't always easy to deal with because it so often disrupts the established way of doing things." He is right, and we should also remember that applying technology is far from a guaranteed solution. We have seen too often how government-backed IT projects can go horribly wrong, and the ongoing chaos surrounding the NHS Connecting for Health project should be warning enough against blithe optimism. Nor should we act as if the network is universally available.